Wherever your moving IT relocation can be a real hassle. Changing address or reinstalling internet even physically moving your electronics from one office to another can cause issues. Never fear the Prototech team is here and ready to help. We can transport delicate computers, screens, modems, routers, and networking equipment from your old address to your new address to minimise the risk of it becoming damaged. 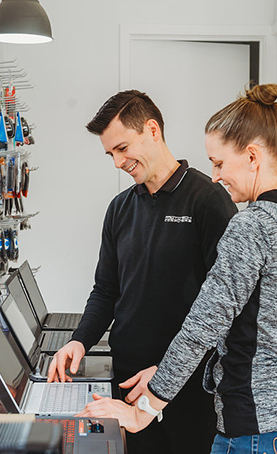 We can disconnect all existing Hardware and devices and set it up at your new location so that everything is running efficiently, connected and ready to go. We can optimise your office to ensure perfect wireless signal in every room, so your employee’s devices can communicate properly.